DISCLAIMER: This book contains depictions of graphic situations. As such, it is not suitable for all readers. He kills; She heals. How do you choose- heart or head? 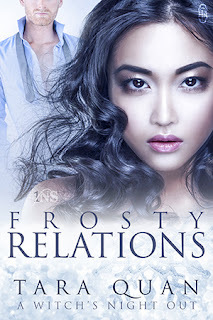 Still dealing with the fallout from the explosive events earlier in the year, Lucas is tested further when Juliette is dragged into the middle of the war between rival Clubs. A war that's already had fatal consequences. DISCLAIMER: This book contains depictions of graphic situations. As such it is not suitable for all readers. They say when life gives you lemons; make lemonade. What do you do when life sends you demons who refuse to stay buried? Do you lie down and accept defeat or rise to the seemingly unwinnable challenge, and start SEIZING CONTROL? 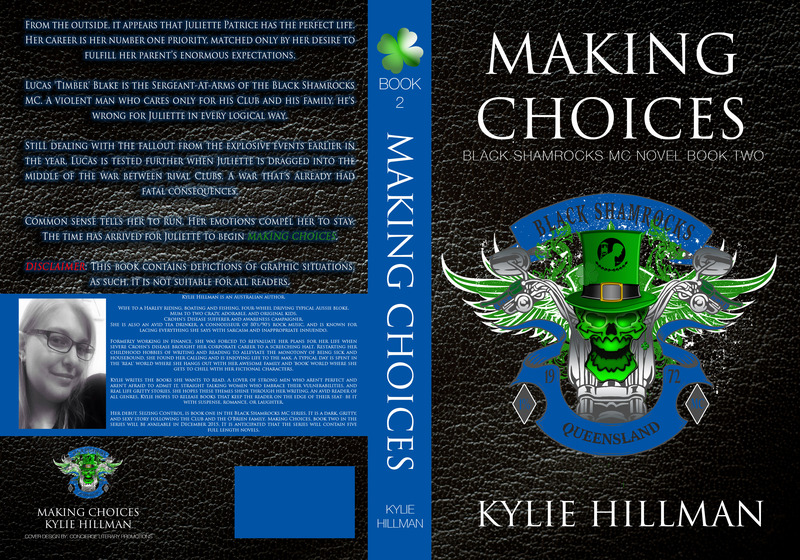 Wife to a Harley riding, boating and fishing, four-wheel driving typical Aussie bloke. Mum to two crazy, adorable, and original kids. 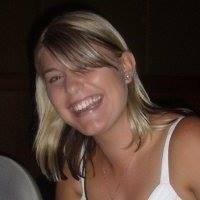 Crohn's Disease sufferer and awareness campaigner. She is also an avid tea drinker, a connoisseur of 80's/90's rock music, and is known for lacing everything she says with sarcasm and inappropriate innuendo. Formerly working in finance, she was forced to reevaluate her plans for her life when severe Crohn's disease brought her corporate career to a screeching halt. 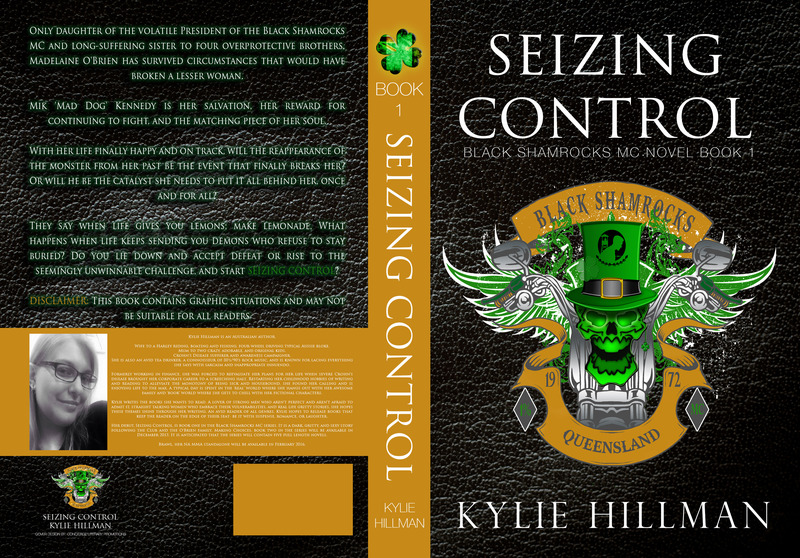 Restarting her childhood hobbies of writing and reading to alleviate the monotony of being sick and housebound, she found her calling and is enjoying life to the max. A typical day is spent in the 'real' world where she hangs out with her awesome family and 'book' world where she gets to chill with her fictional characters. 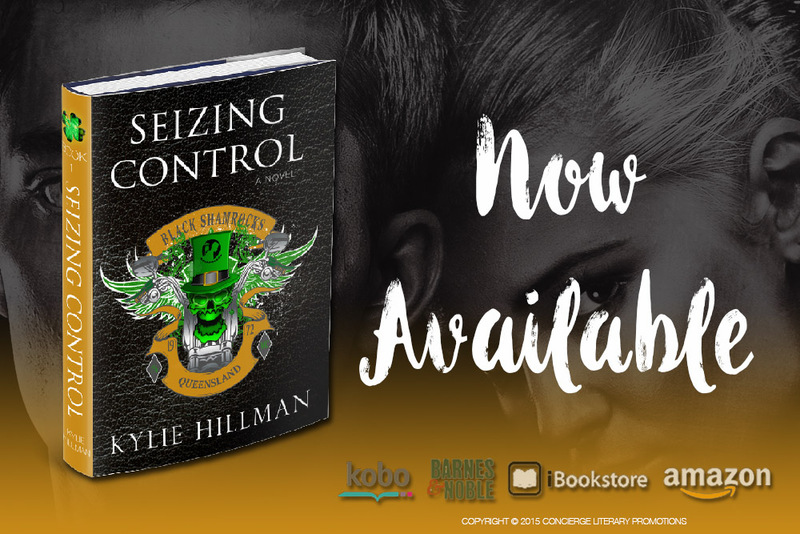 Come join in the celebrations of the re-release of Seizing Control and the Cover Reveal of Making Choices by Kylie Hillman. 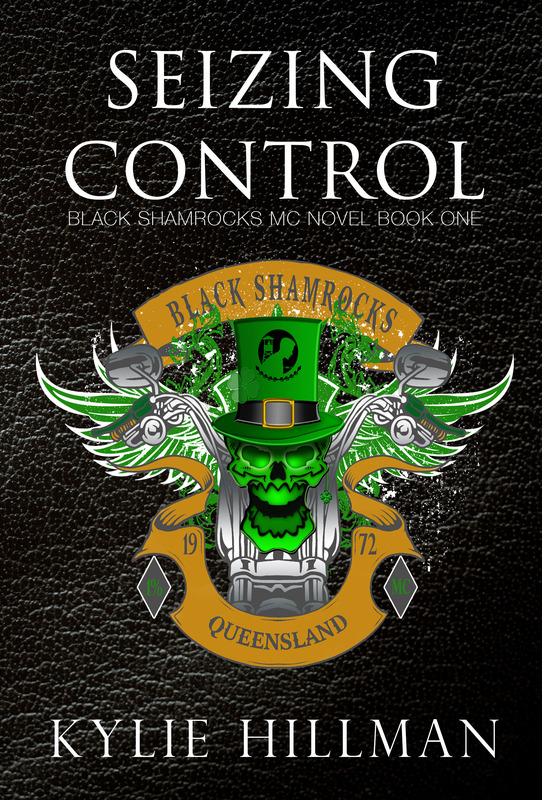 Guaranteed to be alot of fun with lots of authors and giveaways. 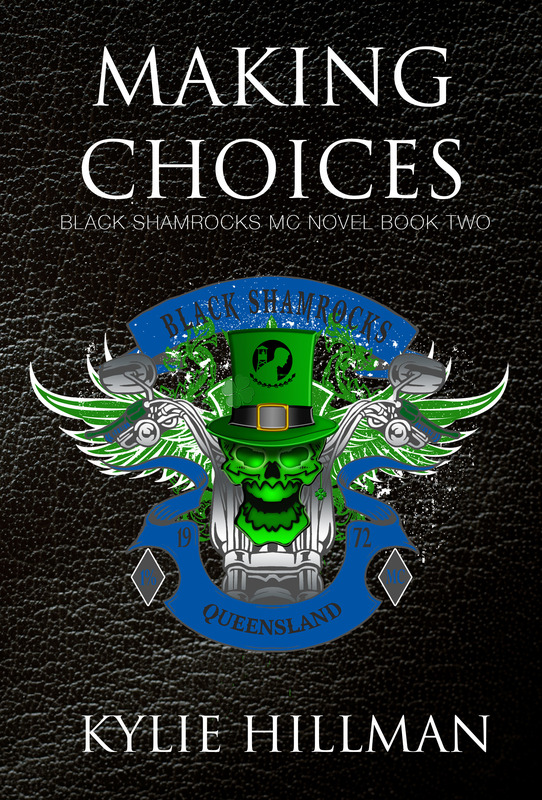 All images copyright © 2015 Concierge Literary Promotions, LLC. All rights reserved.